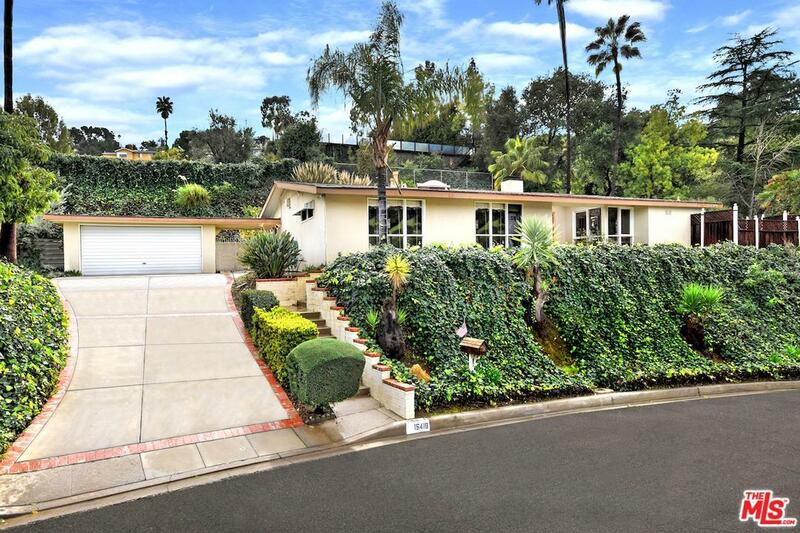 Mid Century Modern in a prime location and neighborhood near Mulholland Drive and the Westside! 4 bedrooms with high ceilings and wall of glass. Large living area includes a fireplace and glass doors that open to the private pool, patios and yard with grass and gardens. Separate formal dining room and a breakfast area. Spacious master bedroom includes an attached bathroom and also opens to the patio. Detached garage and large driveway for off street parking. Quiet street with sidewalks and canyon views. House is a major fixer upper.